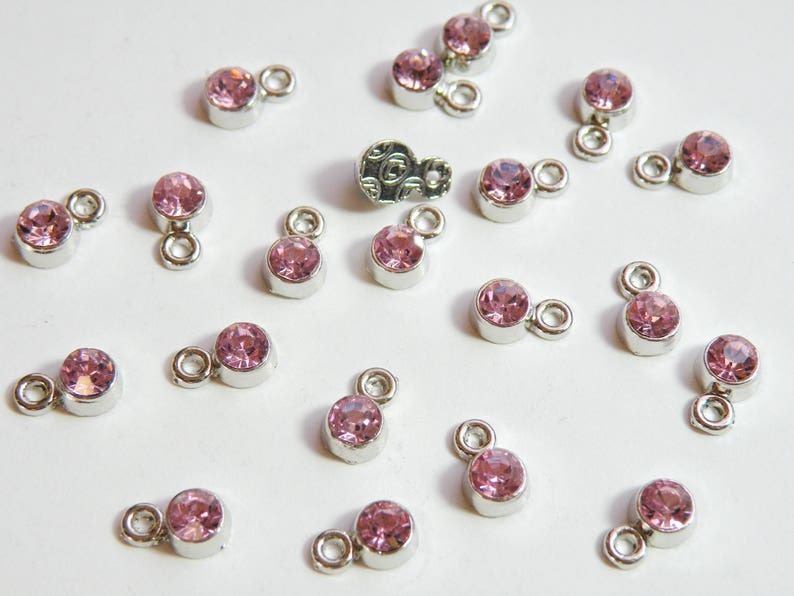 Rose Rhinestone drops or tiny charms on silver finish lead safe zinc alloy. Design on one side. 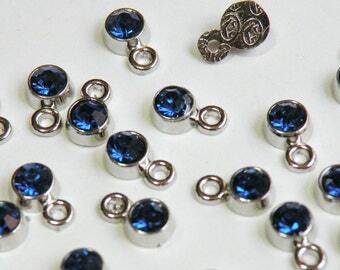 October birthstone. 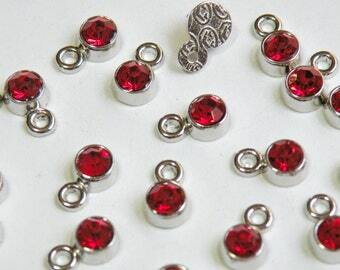 All birthstone colors available and also in a set of one of each color.